It may be obvious – but still, worth saying. 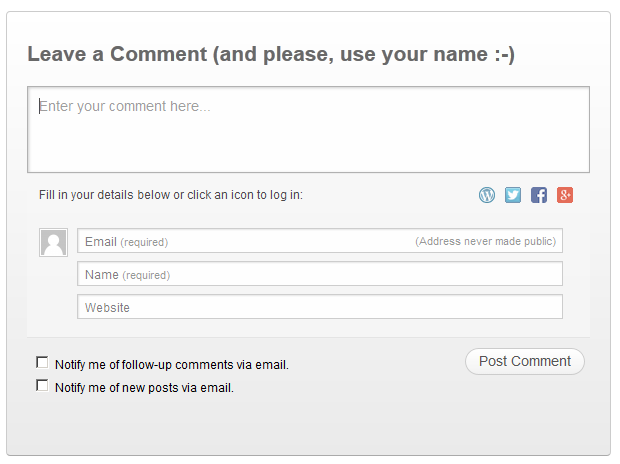 Don’t close your comments section and don’t ask your readers to register with your blog to comment. (Almost) nobody will take the time to do so. You are not that great, sorry. The easier you make commenting for your readers, the more comments you’d get. Remember though to set some blog commenting rules to avoid spam and frustration. Many bloggers avoid this tactic fearing they’d look desperate and begging for attention or others’ approval. It isn’t necessarily that way. You can ask your readers to comment by saying just that – “Let me know in the comments what you think about [topic]”. That’s right. 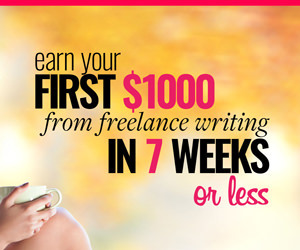 I know how awesome and perfect you want your blog posts to be. Truth is, if you say everything there is to say, you leave no choice to your readers but to thank you for your awesome content and that’s about it. You’ve said everything – what on earth they could add in their comments? Leave something out of your post to let readers add to the discussion through comments. Now, I don’t mean you have to publish your posts half ready. And of course, if you are writing a how-to post, do include all steps – otherwise it won’t be a real how-to, would it?! And if you really want to get comments – a lot and fast, just write on a controversial topic. When there are different points of view, there is always a discussion (or a fight :-P). Thanking your readers for commenting and addressing their comments is paramount. Doing it in timely manner is superb. But even if you delay your replies for some reason – still, it’s good to drop by once every now and then. It’s time assuming, I know. And there are a lot of so called pro bloggers out there who get an enormous amount of comments and never bother to reply to any of them (even those with questions?!). But please, pretty please, don’t be like them. It’s rude, if nothing else. If you are that busy and cannot address every single comment on your blog, hire some help – or reply in bulk. As a matter of fact, not all comments truly add to the discussion, including those readers who just stop by to say thanks. So those you can just be thankful for – with a bulk “thank you” note. If this is the point you are at right now, you can turn off the reply-to-each-comment function and pop in from time to time to acknowledge and address any questions that might have come up; yes – in bulk, just like another comment in a row. 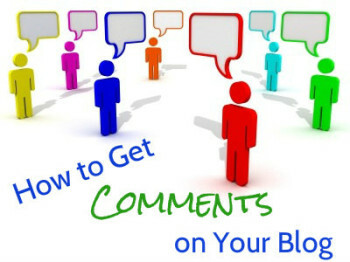 Your turn – what tactics do you use to get comments on your blog? 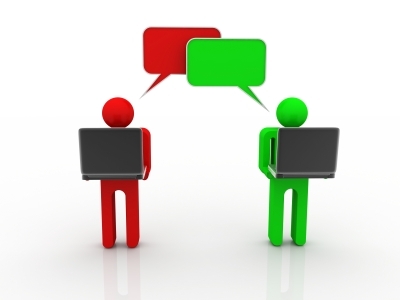 Dos and Don’ts of Blog Commenting Blog Commenting – Have It or Not? 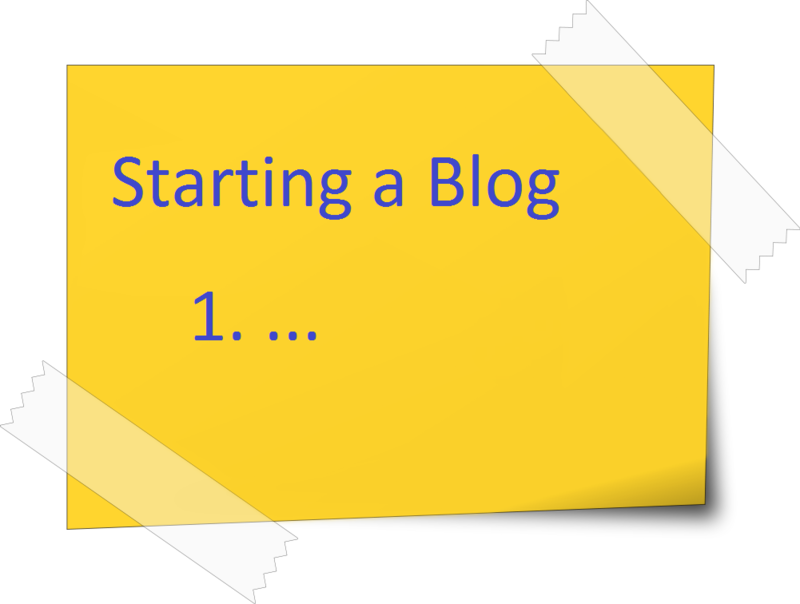 6 Tips When Starting a Blog Reading Blogs and Commenting – Should You and How Much? Bloggers helping Bloggers (LinkedIn group) introduced me to great bloggers who comment with intelligence and warmth. That made a big difference for me. Join the right group for your blog. Spot on addition, Leora – it IS a great group. That is how i met a lot of lovely fellow bloggers (including you 😉 ) – i stopped posting my link there as i started getting a LOT of comments only for the sake of reciprocating and not so much because of what i write; but it definitely helped me get started. Establishing a personal connection is important. When someone shares something about themselves, REMEMBER it and then take the time to reply to one of their later comments and make it relevant to what they’ve shared previously. This will show your reader that you care and are paying attention to them, and it will cause them to be more likely to leave future comments. To help them start commenting, simply encourage them. In every post. You also might want to say, “I’d like to hear from some of my new readers – please don’t be shy!” or something to that effect. Great advice. Like Leora, I have found Bloggers Helping Bloggers a great help, but I also regularly invite friends and family to comment and I THANK them when they do. The comments are usually the best part of any blog, so I’m always surprised when I find a blog and the comments are closed. Yes, i don’t get the closed comments section either. Debra, you make a VERY good point – why i have never invited my friends and family to comment on my posts??? English not being my mother tongue may have something to do with it but i certainly should try spread the word locally as well – thanks for the tip! 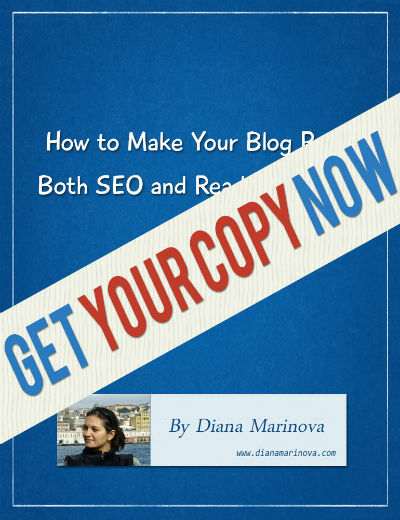 Hi Diana, As always, Even though we think we know what to do with comments it never hurts to review it. I agree with your thought. I admit I don’t remember to do it all but I do try. I try to remember it’s not about me but about the writer and the information they’ve shared. Agree with your advice, Diana. The Bloggers Helping Bloggers group has been so help and I feel I’ve made some friends there, too. Another way to get comments is to leave thoughtful comments on other people’s posts. Try to add something new to the conversation and not just “…a great post.” After reading your thoughtful comment, the blogger is likely click on the link to your blog and leave a comment for you. Also GET RID of Captcha, if you use it. I can’t think of anything more discouraging. I usually have to try 2-3 times before I get the letters and numbers correct and can leave my comment. After that I give up.